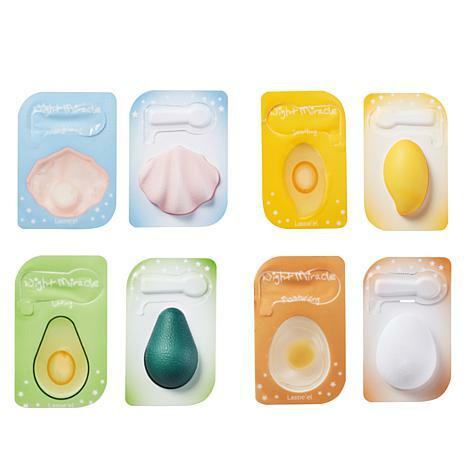 A collection of masks in fun shapes for at-home beauty treatments. Apply twice a week as part of nightly skincare routine. Mix two textures well before layering them on face with mini spoon enclosed. Gently apply mixture to cheeks, forehead, nose and neck. Pat with palms so that mixture gets absorbed well. Uncovering beauty secrets from around the globe! The Beauty Spy, Chelsea Scott, and her team of agents are on a mission to discover the latest innovations and new beauty products from around the globe. What will these beauty sleuths uncover for you?